This week’s roundup includes a multi-million pound investment programme for Aggreko, the full impact of the UK’s manufacturing economy uncovered, plus where exactly has our fear of Friday the 13th originated from…? 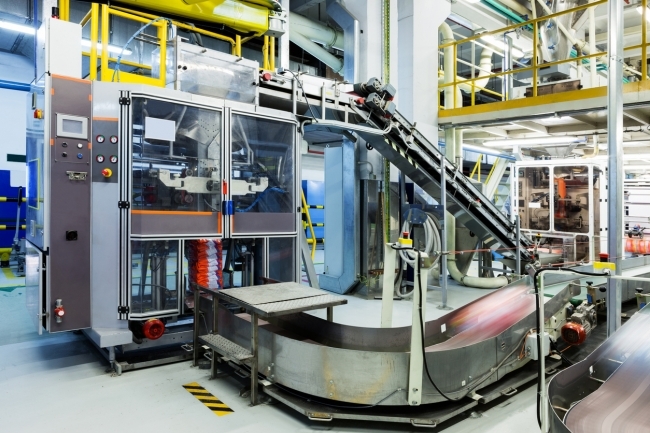 Manufacturing accounts for nearly a quarter of the economy and more than 7.4 million jobs depend on it, according to new research commissioned by the Manufacturing Technologies Association (MTA). For the first time ever, the study by world leading economics consultancy Oxford Economics has taken into account the full impact of the UK’s manufacturing economy, including the indirect effect of increasingly complex supply chains and the induced effect of the spending that manufacturers wages create in the economy. The figures show that the sector is responsible for 23% of UK GDP, well over double the figure that is routinely quoted and is responsible for 5 million more jobs than often thought. James Selka, CEO of the MTA, explains,“The figures that people often quote setting manufacturing alongside the service sector miss the point that a huge part of the service sector – from logistics, to research, to catering – serves manufacturing. The impact is felt far outside factory gates in offices, laboratories, shops and warehouses right across the country. For every £1 million the manufacturing sector contributes to GDP itself, it creates another £1.5 million elsewhere in the UK economy and for every direct job within the sector, another 1.8 are supported elsewhere in the UK economy”. Bentley Motors has announced that construction has started on the UK’s largest ever solar-powered car port at Bentley’s factory headquarters in Crewe. The installation of 10,000 solar panels, which has a capacity of 2.7MW, will take approximately six months to complete. Once completed, the car port – which covers Bentley’s colleague car park – will take Bentley’s energy system to 30,815 solar panels. This includes the 20,815 panel roof top installation completed in 2013. 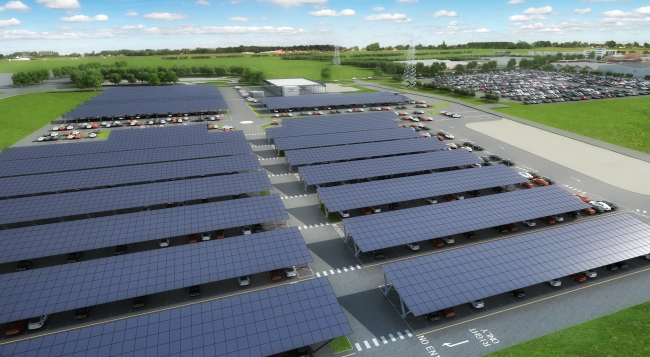 The solar car port installation, which covers 1,378 car parking spaces, and an area of 16,426m², will be installed and operated by FlexiSolar, the innovative solar car port specialist. This solar installation announcement follows recent recognition that Bentley Motors has become the first UK automotive manufacturer to be awarded the triple Carbon Trust Standard for carbon, water and waste, further reducing the environmental impact of its operations in Crewe. The UK contract manufacturing market hit a record high in Q1 of 2018, up a massive 72% on Q4 of 2017. 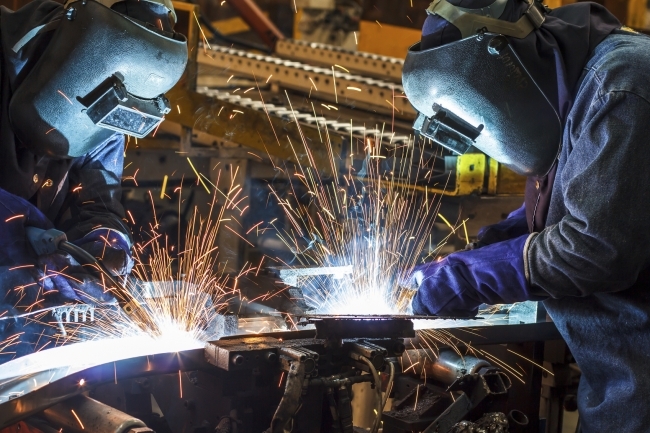 The latest Contract Manufacturing Index (CMI) figures reveal that the market for subcontract manufacturing was extremely healthy in the first three months of 2018, in comparison to a disappointing final quarter in 2017. The latest figures suggest that the market has returned to its previous upward trend. The main drivers for this growth were large companies in industrial machinery, construction equipment and automotive coming back into the market after holding off placing orders before Christmas. The electronics industry, which had previously been the main customer for machining and fabrication services, was still strong but did not grow as much in this quarter. Aggreko, the global provider of modular, mobile power, has announced a new £33 million innovation programme to develop its next generation of power product solutions in Scotland. The three-year Future Technology Initiative will create 23 highly skilled research and development jobs. Aggreko has received a £1.5 million grant from Scottish Enterprise to help fund development of their renewables offering with a particular focus on solar-diesel hybrid solutions & energy storage, more efficient engine technology and the introduction of waste heat recovery all with the purpose of reducing the cost of energy for communities and industries around the world. The initiative will cover 15 individual projects, covering three key technology areas: delivering greater proportion of renewables and more sustainable power; investing in control systems and automation to improve efficiency; and improving engine efficiency. The new products will be developed and manufactured at Aggreko’s Manufacturing & Technology facility at Lomondgate, Dumbarton. The UK economy is in a strong position as new data shows hiring intentions are at record levels, and business output is at its highest in seven months, according to the latest Business Trends Report by accountants and business advisors BDO LLP. BDO’s Output Index, which measures UK business output, increased to 100.05 from 99.78. This is above the long-term growth trend of 100, and the highest reading the index has recorded since August of 2017. 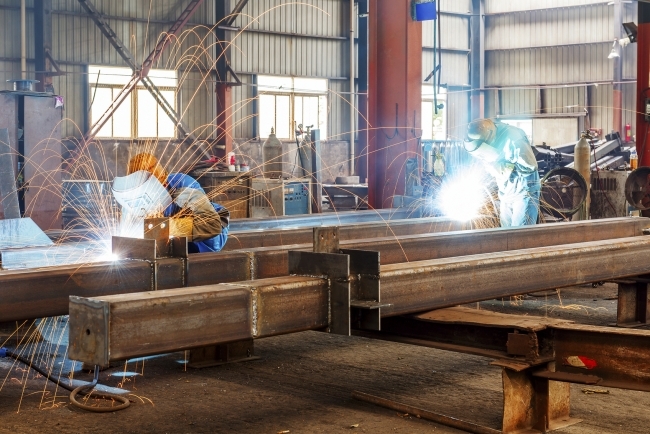 The increase has been driven by an improvement in both UK manufacturing and services output. Although BDO’s Optimism Index – which shows how firms expect output to develop in the coming six months – dropped slightly to 102.26 this month, the fall was not enough to dampen the hiring intentions of UK firms. BDO’s Employment Index increased to 112.09 from 111.89 in March, which is the highest reading in the history of the BDO Business Trends Report, and suggests the trend will persist. The index’s continued upward climb is likely driven by firms’ investment in people over capital, during a period of low wage growth. Why is the #manufactuting community polarising ourselves around #Brexit? I support #UKmfg / #GBmfg not despite brexit or because of it, but because I believe having a strong #mfg sector is good for UK people, skills, the economy & even the environment, if we do it right. The world’s largest brewer is rolling out what it claims is a greener way to put bubbles in beer and reduce its CO2 emissions by 5%. The Belgium-based company AB InBev says it has developed a technique to generate gas bubbles needed for the malting of grains before fermentation without the need to boil the water and hops. The company conducted four years of tests at an experimental brewery in Leuven, east of Brussels, and then on a larger scale in two plants in the UK. The new method involves heating the brew to below boiling point and then blowing nitrogen or CO2 into the tank to create bubbles without changing the taste. AB InBev claims that when it has adopted the technique in all its breweries around the world it will reduce its global CO2 emissions by 5% a year, equivalent to the energy consumption of 120,000 families. The company, which hopes all its breweries will adopt the technique within 10 years, is offering to share the patented technology free of charge with smaller brewers. A fee would be charged to the company’s larger rivals in the market. AB InBev has vowed to invest the money in further research to reduce its ecological footprint. Business leaders from giant firms including Amazon, Siemens, BAE Systems and BT are embarking on a new campaign to boost Britain’s weak productivity growth by mentoring less productive companies and giving advice on training and investment. Mark Carney will chair a meeting of the advisory board of the group, known as Be The Business, at which the leaders, including John Lewis’s Charlie Mayfield, Nestle’s Dame Fiona Kendrick and Rolls-Royce’s Ian Davis will announce a set of commitments to help other firms improve productivity. The plan is not purely philanthropic – by focusing on companies in their own supply chains, the group expects to be able to boost the efficiency of suppliers and customers. “We belong to a business ecosystem in the UK that is not productive enough, is not exporting enough, is not innovating enough. If we can be part of a movement that improves all of that, then it improves business for us, it improves the market size here in the UK for us; this is not just altruistic,” said Juergen Maier, chief executive of Siemens UK. Dairy firms across the UK have seen a surge in demand for milk in glass bottles since the start of 2018. Seventeen out of 20 dairy businesses contacted by BBC News have seen a rise in sales of glass milk bottles to homes and businesses amid concern over plastic waste. The boost is reaching firms up and down the country: Thomsons in Lanarkshire has seen a 7% increase in demand for glass since January. Pensworth distributes milk across the South of England and Wales from nine depots – the 7% rise in glass sales since January has meant they’re investing in a new production line. In Carmarthen, Nigel Dragone of Nigel’s Dairy has doubled glass bottle deliveries from about 4,000 to almost 9,000 a week. “We feel like we’ve won the lottery,” he said. The largest deliverer is Muller-owned Milk & More. Two-thirds of the bottles they send out on their floats are glass and this is a big growth area for the business. “Since the start of the year, Milk & More has had an additional 15,000 new online customers, of which 90% are ordering milk in glass bottles,” the firm says. Today is Friday the 13th, and if you believe in urban legends then this is the unluckiest day of the year, by far. Fortunately, in 2018, we only have to endure two – one in April (today) and then again in July, so your bad luck is likely to be limited this year. But where has the fear of this ominous date originated from? And has anything terrible ever happened since?